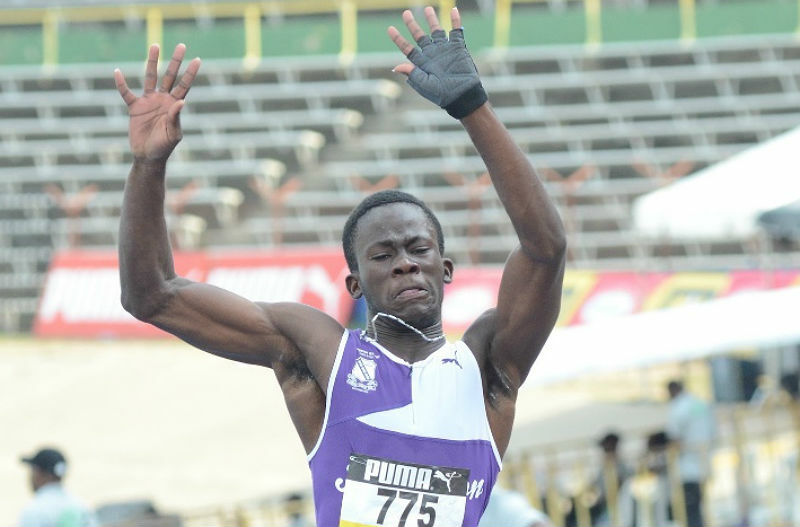 KINGSTON, Jamaica, Sporting Alert – Kingston College and Hydel High are the early leaders after the two days of competition at Champs 2016 inside the National Stadium in Kingston. After three finals on the boys’ side, Kingston College are comfortably ahead while Hydel lead the girls’ category after the same amount of finals. KC, led by Yashawn Hamilton’s gold medal performance in the class two boys’ long jump, are out in front with 32 points in the boys’ team rankings. The purple and whites, which is usually very strong in the field events, are 11 points ahead of second place St. Jago High who are on 21 points while Jamaica College are sitting third with 19 points. Defending champions Calabar High are fourth with 10 points and will need to start closing that gap as soon as possible if they are to avoid falling further behind. Also scoring points on the boys’ side on the second day were Excelsior High (9) Mavis Bank High (7) Hydel High (4) Campion College (4) Bellefield High (2) Old Harbour High (1) Cornwall College (1) and Holmwood Technical High (1). Meanwhile, on the girls’ side, last year’s runners-up Hydel hold a slight lead over defending champions Edwin Allen heading into the third day of battles. Hydel High, behind a number of solid placings in the three finals, lead the team rankings with 20 points, but Edwin Allen are right on their heels and are well positioned to break away on the third day. The defending champions scored 16 of their 19 total points on Wednesday in the girls’ 2000m Steeplechase after Teresha Jacobs and Jeima Davis finished 1-2 in the event. The top five points collectors after day two at Champs 2016 is completed by Vere Technical High, with 16 points in third place, Excelsior High, fourth with 15 points and Holmwood Technical High, with 13 points. Also picking up points were St. Jago High (10) Wolmer’s Girls (9) Buff Bay High (6) and Petersfield High (3).